It's not very often a Nintendo-exclusive title outsells a similar game on Xbox 360 and PlayStation 3, but the GoldenEye name clearly still carries appeal for UK gamers as the game comprehensively outsold HD 007 outing James Bond 007: Blood Stone. 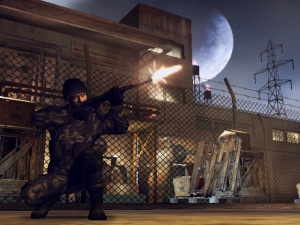 Although the Wii and DS game landed outside the UK Top Ten at number 13, it sold around twice the number of copies as Blood Stone, which is also available on DS. 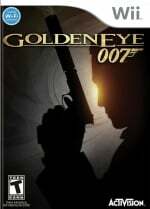 Contacting several retailers revealed GoldenEye is out of stock in many locations. New Super Mario Bros. Wii enjoyed a healthy spurt in sales, no doubt helped by the excitement surrounding the 25th anniversary of Super Mario Bros., a strong advertising campaign and the recently-released red Nintendo Wii console. Professor Layton and the Lost Future kept up its strong performance too, gaining ground to find number 5. 99% of those sales were bought because the game is called Goldeneye. But its a hell good game. Shame for Bizarre... but good for Eurocom! We'll se how they go in the long run though. No solid numbers? At all? You don't get solid release figures for games in the UK or US - over here, GfK ChartTrack is really strict on numbers, just like NPD now. I forgot to tell my friend who was greatly looking forward to getting this how good the game is. He'll be please to know a winner is this game. I didn't even know this was on DS! Awesome, it's getting good reviews all around, so it's no wonder it beat out the PS3/360 007 games. I never have a N64, so I never played GoldenEye. But I love this game. Too bad that they changed too much storywise. I would have loved to have Brosnan as Bond and our Dutch pride Famke Janssen as Xena Onatop. O well, still a great game. I will say that even in her mid-40's Famke Jannsen is still pretty damn hot. This is a great game. I highly recommend it. Get it so I can beat you online. @The Fox, absolutely . And a fine actress as well. @Sneaker13: I really liked her as Jean Grey/Phoenix in the Xmen series as well.